After three weeks back at school, we are delighted about how the year is going so far. The students' behaviour has improved, the staff are enjoying lessons, and with 116 more students, we have more opportunities for excellence this year than ever before. Our latest timetable change has not been perfect, but the new schedules mean that more students get better options with fewer clashes, and students have a better selection of subjects within four year groups. Hopefully any issues will be ironed out quickly! This year due to the growing number of students, our facilities have been significantly upgraded. The rooftop is being converted to a recreational space, new Music rooms were put into the basement area, and an additional Science lab was built. The school has invested widely in more ICT equipment and textbooks for this year as well, which is really exciting. We welcome them to CES and are very pleased with how they have settled in so far! A2: Omar Hisham Ali, our Head Boy, and Omar Abd El Aziz, our valedictorian, both achieved 2A* and 1A grade in their A-levels – congratulations! AS: Two students, Basant Mohamed and Reem Gomaa, both achieved 4 A-grades at AS (the maximum possible) – well done! 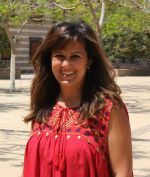 Youmna Srour also achieved 3A-grades which is outstanding. IGCSE: Achievements include - Mohamed El Shewikh - 8A* and 1A, Joyce Bakhoum – 5A*, 3A, Amr Sharaf – 4A*, 2A, Yousef Abdelhameed – 3A*, 4A, Yassen Saad – 3A*, 4A. Our A* and A grades this year were 31%, which is 30% higher than expected. We were also very pleased to see that virtually all of our subjects had a higher than expected value added rating. Congratulations to all our students and teachers for their hard work in preparing for these exams. We look forward to seeing the outcomes from these results. 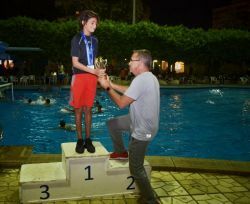 Recently, Ali Ramadan in Year 9 competed at the National Diving Competition and won two gold medals, one silver medal, and the "best diver" trophy for the tournament. He achieved 1st place on the 3m springboard, 2nd place on the 7m top board, and 1st place on the 1m springboard. Congratulations Ali! 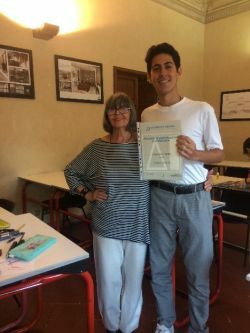 After winning the competition here in Cairo, I took part in the prize of a month-long summer course at the Academia Italiana. I was very excited and couldn't wait to start. The trip as a whole was a rollercoaster of personal growth and dealing with my newfound independence. At first it came with an overwhelming amount of anxiety, but once I started to make friends with the people taking the same course, I began to learn a lot. I explored the beauty of the city of Florence, as well as different cities on the weekends. I would say this was a huge milestone in my life; as a 16-year-old I can now say that I travelled abroad on my own and got a taste of the European lifestyle, while overcoming challenges I never thought I would be able to at the start of the experience. I am delighted to have been given the opportunity to join CES team. I have attained my MA in Counseling Psychology from the American University in Cairo in May, 2018. I am passionate about working with high school and university students. The core of my job is to assist our students in making appropriate course selections relative to their future university studies. I am here to help students with the preparation, checking, and submission of applications to local and foreign universities and colleges; monitor students' applications and help students in the process of admission into universities and colleges all over the world.